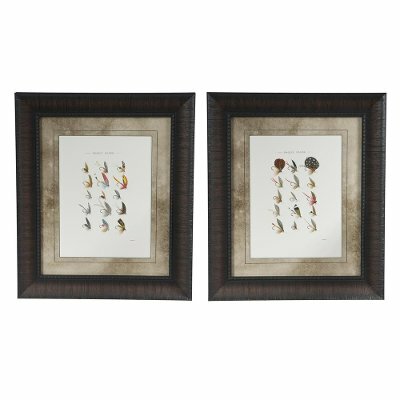 Now at RC Willey, this framed artwork of multicolor trout flies will add a touch of rustic charm to your wall. This art would look wonderful in your home or office. A great way to add a touch of style to your home or office is with this 17x20" trout flies wall art from RC Willey. This is the perfect gift idea for the avid fisher in your life.